Founded in 2004, Homes for Our Troops (HFOT) is a national nonprofit organization committed to helping those who have selflessly given to our country and returned home with serious disabilities and injuries Post-9/11. 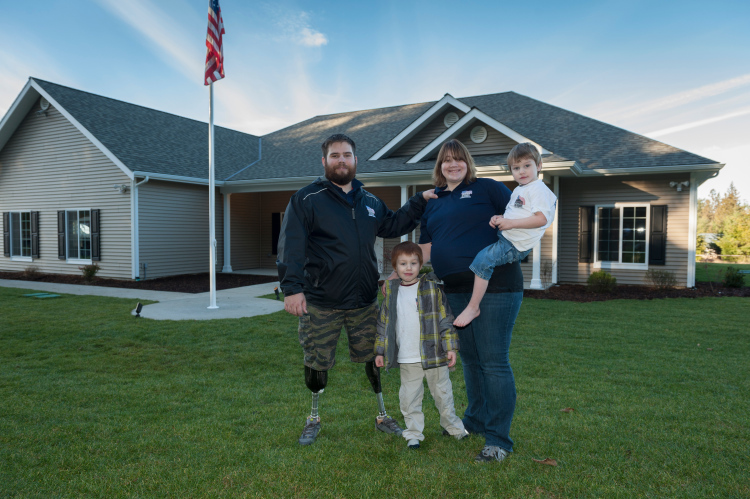 Nationwide the organization builds mortgage-free, specially adapted homes for severely injured veterans, enabling them to rebuild their lives. These homes are provided to American veterans at NO COST. John Guest USA, Inc. is a proud supporter of Homes for Our Troops and is running a nationwide campaign to help build homes for severely injured veterans. These American heroes need specially adapted homes to regain their independence and to help them and their families rebuild their lives. One of the many reasons JG USA is a proud supporter of HFOT is that the organization is a 4-star charity, which means they adhere to good governance and other best practices that minimize the chance of unethical activities. They also consistently execute their mission in a fiscally responsible way. HFOT outperforms most other charities in America, thus demonstrating that they have the public’s trust. To date HFOT has completed 188 specially adapted homes and has another 49 in progress. They also have hundreds of volunteering opportunities that can make a real difference to an injured veteran’s life. John Guest USA has launched a campaign to help raise the thousands of dollars needed to build these very special homes. The organization will donate $1.00 for every HFOT End Cap purchased from July 1st to September 30th, 2015. Special packaging has been created to help promote the sale of red, white and blue End Caps. The packaging consists of a JG Speedfit box custom labeled with a patriotic theme using both the HFOT Proud Supporter and JG Speedfit logos. The box contains 1/2” CTS End Caps in red, white and blue (80 in total). With the purchase of this promotion the wholesaler will also receive a patriotic poster and counter display easel to help promote sales. To place an order and help support this worthwhile cause, email us at jgusa.orders@johnguest.com Alternatively, call us toll free from within the USA on 1.800.945.4872 or from outside the USA on +1.973.808.5600.